Growing up in Nepal, Nisrit Pandey and his family experienced frequent power outages, but when they explored purchasing solar panels as an alternative energy source, they discovered it would cost nearly 60 percent of his family’s annual income. 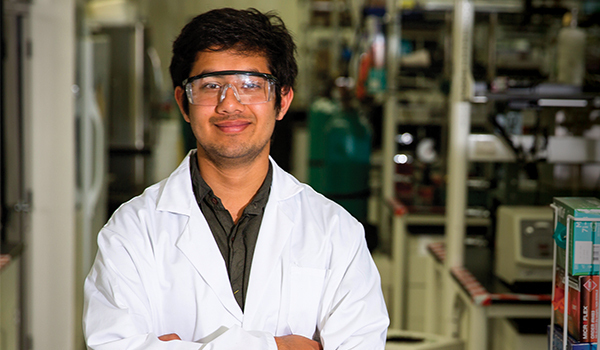 This personal experience inspired Pandey to pursue a degree in materials engineering so he could work to identify affordable alternative energy solutions for people in developing countries. Since his first semester at UWM, Pandey has participated in research with Associate Professor Benjamin Church and has presented his research on energy storage technologies across the U.S. He was awarded Outstanding Presentation at the University of Wisconsin System Research Symposium, edging out 750 other presenters. 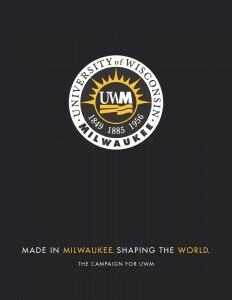 Pandey is a recipient of UWM’s Academic Achievement Leadership Award as well as the KleinOsowski Scholarship, which is awarded to students in the Honors College. He says this support has been transformational to his experience at UWM. “My scholarships have allowed me to worry less about my finances and focus more on my extracurricular activities, research, and academics.